For more than a decade Robert has been working with leaders, sports people and teams, to build high-performance ‘flow.’ As a Sports Mental Skills Coach, this is to help grow high-performance sports people, to empower them to find ‘flow’ in-order to reach their full potential. Robert’s fascination with Mental Skills started as an 11-year-old when selected for the Mid-Canterbury rep soccer team. While very proud of this achievement, he felt out of his depth at this higher level. This massive self-doubt was reflected in not excelling under pressure. Then a similar challenge aged 18 playing tennis for Mid-Canterbury, helped trigger his thirst to learn everything he could about growing his inner confidence, to release self-doubt and gain the high-performance advantage in both sport and business. A core junction in this journey was understanding the powerful influence of emotions in creating his thoughts and future outcomes. By developing his Emotional Fitness, he discovered loads of hidden emotions and anger that created his self-doubt. The outcome of this inner growth journey was a new feeling of freedom, which is the fuel driving him today to help others have the self-belief under pressure to achieve peak-performance in sport and life. Over the years, Robert also noticed a big reduction in self-doubt when in a supportive positive team environment. This has driven Robert’s passion to help others shift their sports team thinking, to the new culture of collaboration and high-performance trust. Especially important today when the old methods of team communication are no longer as effective. Hence the right technology to share, focus and support team collaboration, can create a better high-performance team culture. As well as speaking on these topics of team performance and self-doubt, Robert helps team managers and coaches get the right technology and systems, to align leadership and the team for high-performance, high trust, high output sports team results. Robert’s passion for growing people and peak-performance teams, is supported by his history as a senior manager himself and his proven experience in leadership development as a professional facilitator, coach and speaker. 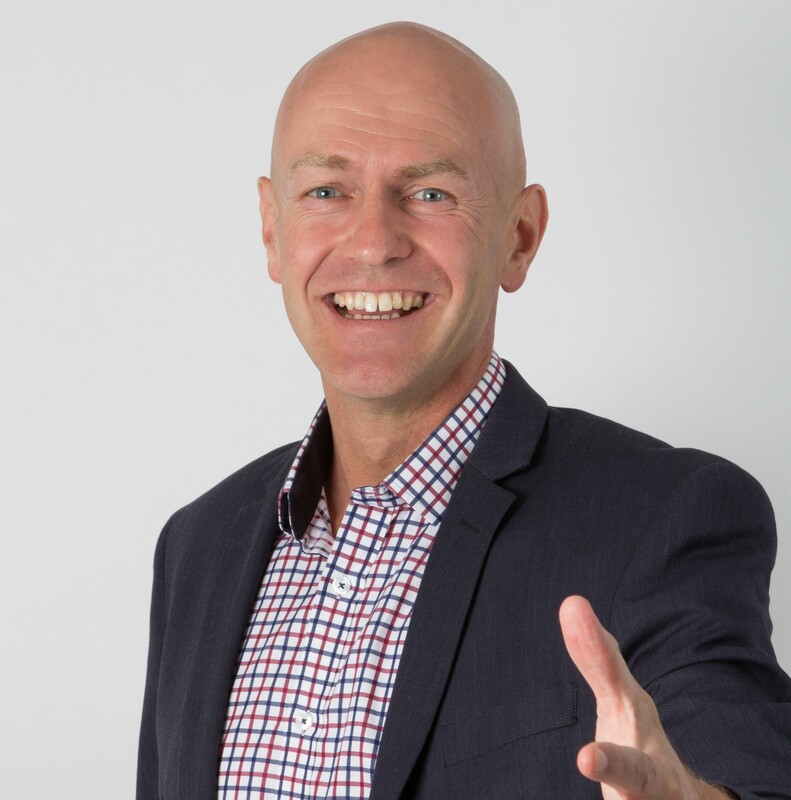 Formally trained as an executive coach, you can learn more about Robert’s full career history on LinkedIn by clicking here, and his personal passion for ‘Sport’ that has helped him understand teamwork, leadership and personal motivation. Sport has taught Robert many lessons about the attitude of success and failure, and the associated importance of Emotional Fitness. In rugby, he made the North’s Rugby 1st grade professional squad in NSW, Australia, where injury impacted his performance but it was variable self-belief that was the true source limited his success. Fuelled by his passion for sport, he set out to unlock the answers to creating his own personal peak performance; the science of Emotional Fitness and ‘how to be the best you can be’, leading Robert to further studies in Sports Psychology at Newcastle College, United Kingdom, 1997. Dedication, determination and focus in sport have produced many rewards and lessons in Robert’s life, transcending both his professional and personal ambitions. Robert is a Professional Tennis Registry (USPTR) certified professional coach, his experience, knowledge and understanding have allowed him to unlock the keys to how emotions impact performance, and what tools and techniques can be utilised to create peak performance and greater success. His personal experience has provided great insight into how unconscious programming, emotions and our beliefs interact to enhance or limit success. To be able to help others unlock their passion, drive and purpose. To help leaders guide their team with a culture of unity, trust and self-responsibility, by understanding their own and their team’s intrinsic motivation. For more details click here to contact Robert, who works from either Auckland or Christchurch. Or visit www.meetrcr.com to book a complimentary discovery session to review your team strategy, systems and approach. Phone +64 21 367 411.